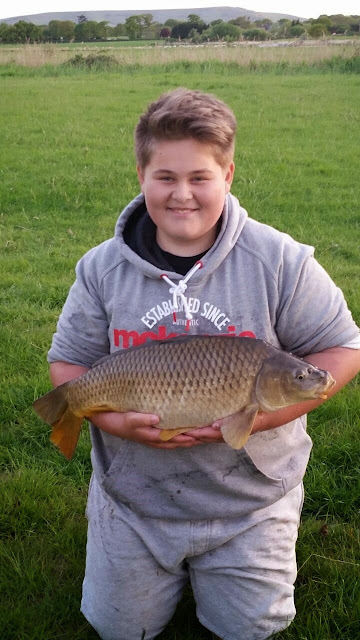 Callum Dell caught this Common Carp during a session fishing with his dad, Steve Dell, at the Mushroom Farm (Falkenvil Fishery). The fish weighed 11lb 1oz. Nice one Callum!